Q. How do I book the Central Library Lobby or ArtsBuzz for exhibits? What about Central Library Forum? Central Library has two venues for exhibitions: Lobby and ArtsBuzz. Both are under the care of the library. For more details (specifications, guidelines) about the Central Library Lobby, please click here. For more details (specifications, guidelines) about the Central Library ArtsBuzz, please click here. NUS Student Organizations who wish to organize events outside Central Library including Central Library Forum, Central Library Level 4 Walkway and setting up Facade banners on Facade of Central Library building should instead apply to OSA (Office of student affairs). 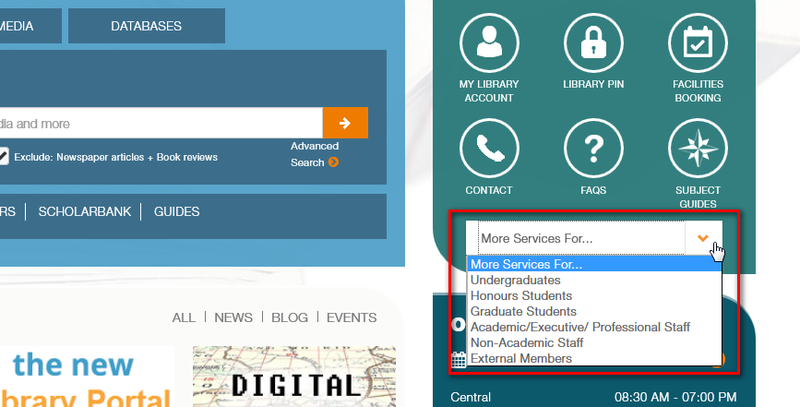 For the Central Library Lobby or ArtsBuzz, the request forms to use for requesting use of these areas are accessible via the Library portal. 5. Fill in the form with details of the item you are requesting. 6. Applicants will receive an email regarding their requests within 3 working days.